I guess all of you have heard how awesome it is work at Google company. Not only that it's awesome. It's actually like a paradise, for those who refuse to conform to the standard rigidness of the corporate world. Slides, bright surroundings, free foods, and comfortable working environment, what else could we ask for, no? I know I would love to go work for Google, only because of its awesome working environment. But I don't know of any ability that I can put to good use at Google. Hahahaha. 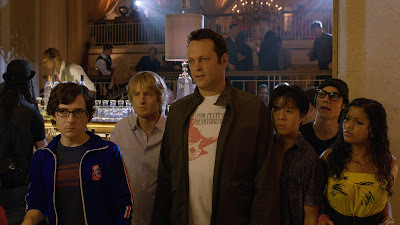 Billy (Vince Vaughn) and Nick (Owen Wilson) are salesmen whose careers have been torpedoed by the digital world. Trying to prove they are not obsolete, they defy the odds by talking their way into a coveted internship at Google, along with a battalion of brilliant college students. But, gaining entrance to this utopia is only half the battle. Now they must compete with a group of the nation's most elite, tech-savvy geniuses to prove that necessity really is the mother of re-invention. Google is awesome! Seriously, what else could anyone ask for? That is what crosses Bill's mind when he realise his and Nick's opportunity might lie somewhere there, interning. 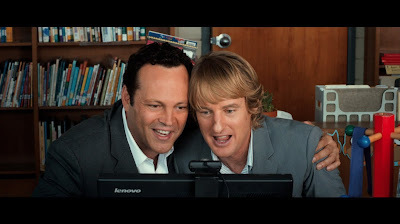 Owen Wilson and Vince Vaughn are already established name in the lines of comedy flick. Take Wedding Crashers for instant. That was a great comedy film. Regrettably, the pair has gone all gooey and mushy this time around. 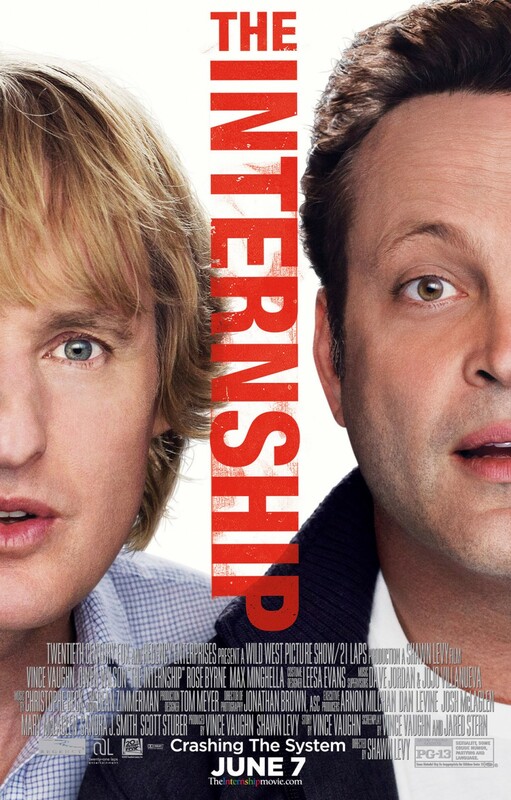 Honestly, I never like Owen Wilson. Never have, never will. But I came to the movie with an open-mind. Sadly, I exited with a burnt-out mind. While you can say the underlining of Google trying to gloat to the whole wide world of its success (not that I care, but some other company should. *cough*Yahoo*cough*) in the movie is apparent, and to some extent, overbearing (like Smurfs with their Smurfs-pun, expect a lot of Google-referenced catchphrases too. ), it is a sad excuse of a movie. I know for one that a lot of the reviewers find this movie more of a Goodle advert. Hey, gloves off here but they could make do with the movie in less that 119 minutes. With almost a two-hour long session predictable plot, this movie is bad on the timing. Too much obsolete scenes that can be taken away to make the movie 'short and sweet', not 'lengthy and lifeless'. Undoubtedly, there are certain parts of the movie which are quite enjoyable, but fort he rest of the time, the movie just fry your brains, really. Another key-point to this movie was the over-flowing casts. When you have too much people thrown into the bunch, it will never work. We have Rose Byrne/Dana which only appear for a few time in the movie, barely make any impact in the movie. Her only existence in the movie was to be Owen's 'girl'. Crowding a lot of great actors together also is never a good idea. Another example would be Jessica Szhor. Again, she's upstaged by the rest of the cast, as she was in Gossip Girl. That also contributes to the point that you don't really have to make every character special by providing a side-story for character development. Especially when it doesn't contribute to the momentum of the movie. Well, like I said, there are finer points in the movie. 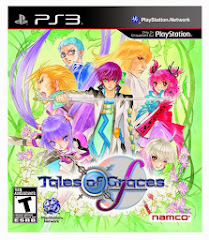 Such as the funny quirks and the ridiculousness of the characters themselves. But those are the only saving grace for this movie.